Every day--often multiple times--we show up to support, hold space and heal our students and clients. Yet how often do we take these selfcare steps for ourselves? We are committed to becoming better at what we do, registering for workshops with international teachers and seeking accreditations. Yet when do we actually take the time to learn the foundational pieces to be an abundant Yoga teacher? 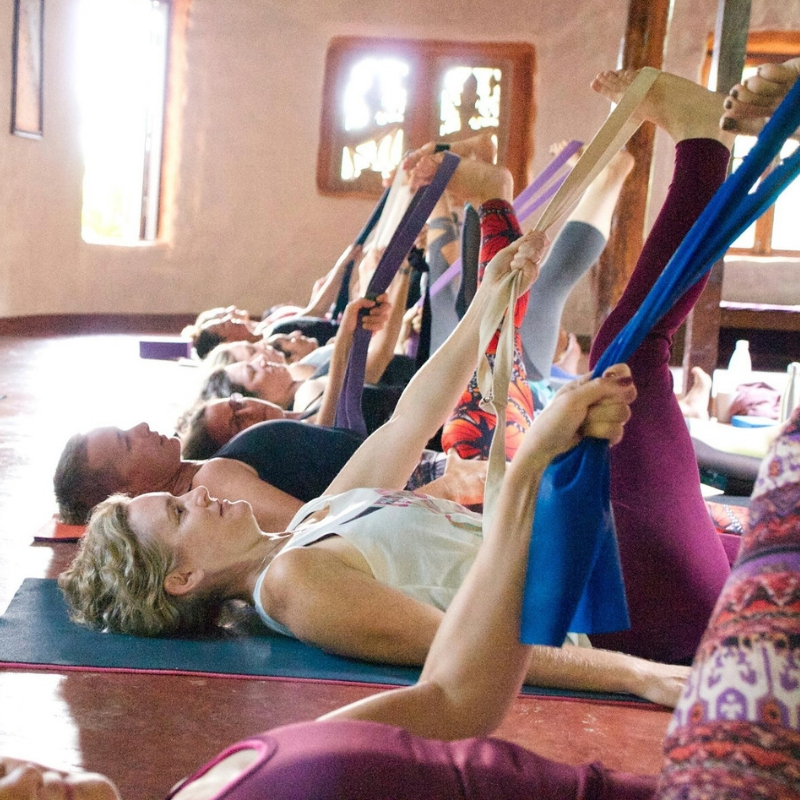 The Abundant Yoga Teacher Retreat is Thailand is a potent blend of these pieces. It is the sacred space you've been craving to really take a heart-felt dive into your passion-based business. It is the yoga and meditation holiday you're longing for deep in your bones. It is the coming together of friends with open hearts ready and excited to share and nourish, rekindle and rejuvenate. Attending Amy’s Abundant Yoga Retreat was a big turning point in enabling me to move forward in my yoga business. I have come away with clear goals, a shifted mindset, and have finally stopped procrastinating. It feels so good to have a clear vision for the future and I am now confidently taking steps forward to make this vision a reality. This retreat to Thailand is the best thing I have done for myself and my business so far. So much inspiration and dedication from Amy — her wealth of knowledge and stories always amaze me. The support and friendships with the other ladies will be treasured as we call on each other as Amy Retreaters! No hustle, struggle or uncertainty about what needs doing 'yesterday!' in your business. Just spacious, targeted time to focus on what you need to step into greater abundance doing what you LOVE to do. Imagine recharging your Abundant Yoga Business batteries. Time to fall back in love with what drew you to this work originally. Time to delight in new friendships and explore what it truly means to have support and inspiration from colleagues who really 'get you'. Time to take in new information, alchemise it and apply it in a way that feels spacious AND effective, and all before you leave the retreat centre. And imagine receiving all of this while on a deep-dive personal retreat, with daily Yoga, meditation, rest and nourishing farm-to-table meals. Wow! I had a truly incredible experience in Thailand on the Abundant Yoga teacher retreat facilitated by Amy. I got so much out of my time there – a stronger body from the yoga practise, a deep intention that I set on the first day which I have kept with me, and some amazing new yoga teacher friends from around the world. The content Amy shared over the 5 days was perfect to help me break through some of my blocks around growing my business, and also to inspire me to step up and make some really brave and positive changes. As a yoga teacher and holistic health care practitioner, I found this retreat tremendously beneficial to finding clarity about how to approach my business, combining all of my modalities to support my clients with their health goals. Amy has a real gift in being able to draw out what is holding us back in our business actions and provides clear guidance to put a realistic and actionable plan together while challenging any limiting beliefs. And the yoga! Oh it was so good to be the student and not the teacher! Working for yourself can have incredible boons: freedom, flexibility and the opportunity to share your own unique gifts in a really authentic way. But it can also get really lonely. Have you ever tried to reach out and network with other teachers in town only to find that there is a competitive or abrasive energy going on feels repellant? In joining the Abundant Yoga Teacher Retreat you are saying 'Yes!' to a supportive, high-vibrational community ready to support you and your personal and business growth. Not only with their be networking and masterminding, lasting friendships will form, nourishing connections that will last long after our week comes to a close. Who will be there to share with when times get tough? Who will really listen to what is feeling stuck or blocked for you in our Yoga businesses? And who will really be there to see and celebrate you in your breakthroughs? Already other Yoga teachers and holistic practitioners have said 'Yes!' to that inner whisper telling them that this retreat was for them. And together we are ready to welcome you into our gathering collection of sisters. We are ready to listen and learn from you, share our wisdom with you and celebrate the new version of you and your business that is longing to come forth. If you're ready to discover your loyal tribe of teaching sisters who totally get you and support you and where you desire to take your holistic practice, take your place with us on the Abundant Yoga Teacher Retreat. Wow! What a game changing experience learning from Amy on retreat in a tropical paradise with a group of amazingly inspiring Yoga business owners. Amy’s love and passion for Yoga, her depth of knowledge in business and Yoga, her beautiful ability to hold space for risk-taking, for growth and for healing - whether it be on the Yoga mat, in the meditation hall, during business class and open office hours or one-on-one - made it possible for me to see and challenge self-defeating patterns that were keeping me stuck in my business. On the Retreat, Amy empowered me to come to my own conclusions without putting words in my mouth, so I truly feel this journey is mine, but she showed me clearly that she understood my business, and gave me the support I needed to step confidently forward. - You have a longing for change and expansion, and you're craving the quiet time to go deep, explore and implement what you discover. - You are lit up about supporting the other people on retreat with you, knowing that we can be even more powerful when we work together and create an environment of love, support, and care for all involved. - You know what you have to offer the world is of service and you are finally ready to make now your time! It was just a life changing experience, and it’s paid for itself over and over. I realised I’d been playing small even when I thought I’d been aiming high, so under Amy’s insightful and intuitive teaching, I got clarity on my blocks, and gave myself permission to admit what I wanted from my business and my life, and put an action plan in place to go for it. I’ve been seeing those results manifesting ever since. I think about this Retreat every single day. I am a complete novice when it comes to running a yoga business, and I gleaned so much from this retreat, and as I sit here at home - weeks later working on the business plan I created whilst there - I STILL feel excited and inspired! A shift in me has happened, and I am loving it. I am now comfortable investing in myself (the old me had a panic attack when I first booked!!) as the rewards are just way too precious. You will welcome in each day of the Abundant Yoga Teacher Retreat with a morning Yoga class with me as your Teacher. A truly gorgeous way to start the morning with the emerging sun glinting through the open windows of our guest house. A little mist from the moat that surrounds the centre. A stick of incense. A few blurry eyes. An unfolding of mats. Your time to take the role of the student and simply be with your practice. My Yoga style will be different to yours. You'll be asked to try new things, literally and metaphorically flex new muscles. And when we're done, over our luxurious breakfast, we can discuss, share and reflect on our similarities and differences. Your very own group of colleagues and friends who really get what it means to love Yoga as much as you do and enjoy all of its complexities and nuance just like you do. If you're ready to get back into your practice, and take the seat of the student for a week, I am so ready to support you. 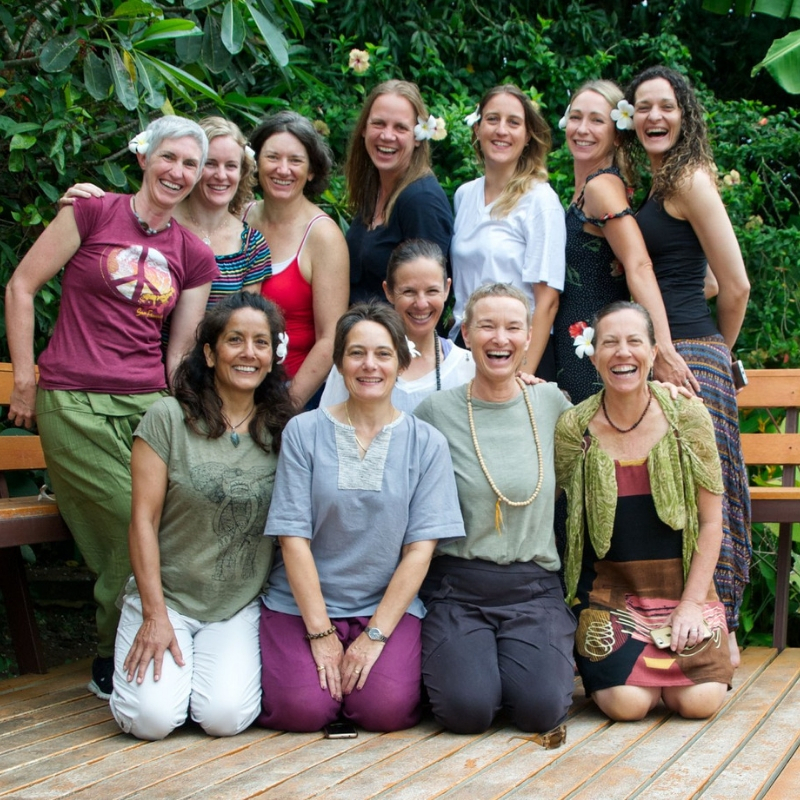 Recently I went to Thailand on the Abundant Yoga Teachers Retreat with Amy. It was simply beautiful. I absolutely loved the simplicity of the retreat centre. I felt very supported and nurtured there as a yogi and as a woman by Amy as a business owner. I especially loved the training. Each day was different and it was seamless from the moment we got up and practiced yoga to when we did the daily training and all throughout the day. Amy puts in a lot of effort to make it all suit the needs of the participants but also the flow of the retreat itself. It is a deep, nurturing and supportive wellbeing retreat where we come together each day to bring forth your business best, from a place of rest, openness and contemplation. You'll be supported with incredible farm-to-table vegetarian meals prepared with love by the women at the Retreat Centre. There will be time for rest and afternoon naps, bike rides to the coffee shop, time reading in the library or contemplating in the meditation space. Our retreat will take place at IWP, the International Women's Centre for Peace and Justice, a hand-built by women for women, village-style retreat centre about an hour from Chiang Mai in northern Thailand. Please note this Abundant Yoga Retreat is not a luxury experience in the traditional sense. Our accommodation at IWP is simple, clean, 'ashram-style' with shared rooms and bathrooms. There is a tiered pricing system for this retreat. The prices will go up as each tier sells out. Wow! 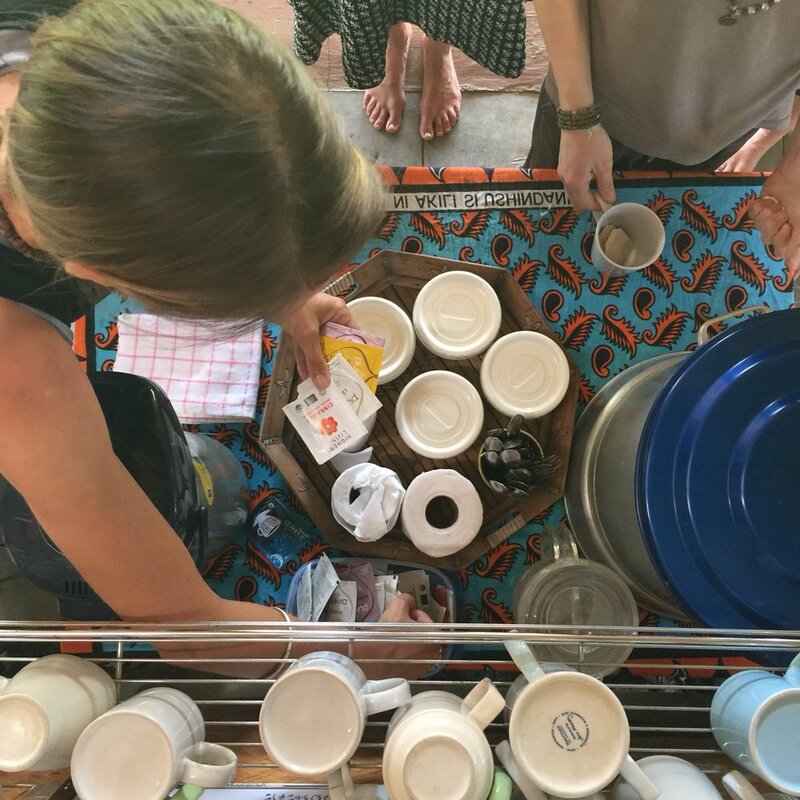 Amy’s Grow Your Yoga Business Retreat in Thailand — it was so much more than what I expected. The group, the Yoga, the coaching, the meditation, the cuisine, the people ... we even experienced the ‘Super Blue Blood Moon’ while we were there. It was pretty special! The Retreat was more than a ‘retreat’. It was an opportunity to look inwards and understand the value that you can offer to your community. It was about playing BIG, reinventing yourself and realising your self-worth. There was a great mix within our group where we could share different experiences and learnings. Some were experienced Yoga studio owners, others were just starting out - it was a great opportunity to draw on their experiences. The business side of the retreat was HUGELY insightful. There is a lot to grasp with running your own business, but Amy shared a valuable toolkit which included marketing tools, copywriting tools, social media tools, website tools and much more. I have come away with heaps of new skills and feel truly energised to grow my own abundant business. Recently I attended my second Abundant Yoga Teach Retreat in Thailand with Amy and absolutely loved it. 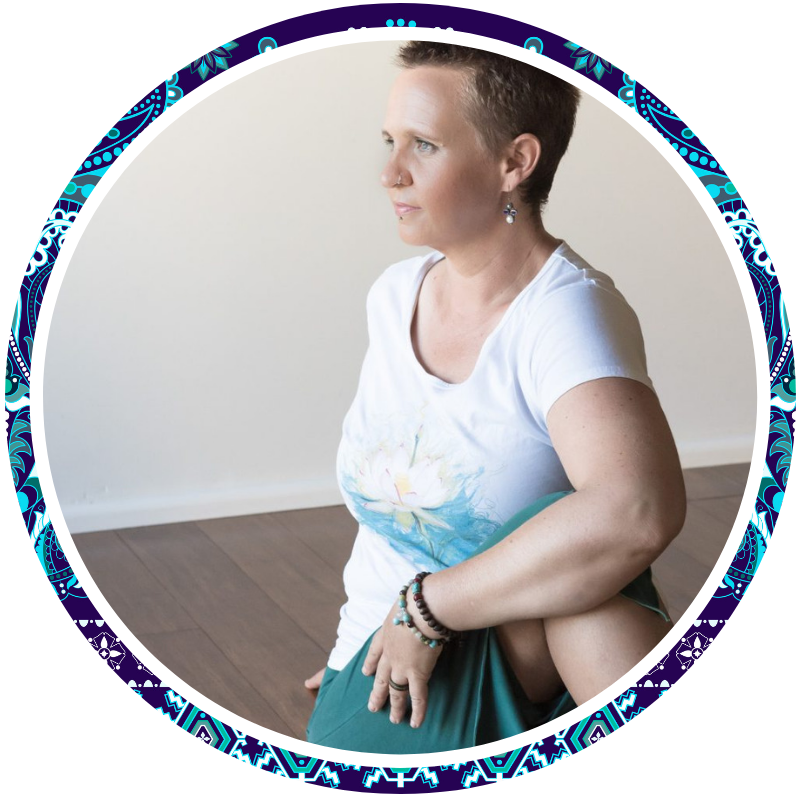 I felt so inspired there with other high vibe yogis and was able to learn some essential skills for my business that I took action on whilst on retreat to gain more confidence and visibility in my business. We were coached by Amy in particular skills and as we were putting them in action at retreat we were able to ask more questions and seek more info if required about our new learning. I especially loved the ritual at retreat of yoga every morning, business classes, free afternoons and meditation in the evenings. It really allowed a lot of time for personal self-reflection, growth and space to get set for a great year ahead. I connected really well with a bunch of other amazing yogis on the retreat and now have a very supportive group to continue to learn with and from. Since retreat we are still all in contact and supporting each other which is invaluable.